Dump ‘n Chase is the official blog of Mike Vogel. 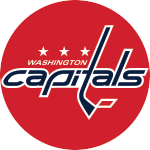 Follow Mike as he covers every practice with the Capitals and travels with the team, sharing his valuable insights into the Capitals and everything hockey. Reirden's Long and Winding Road Leads to Top Spot in D.C.